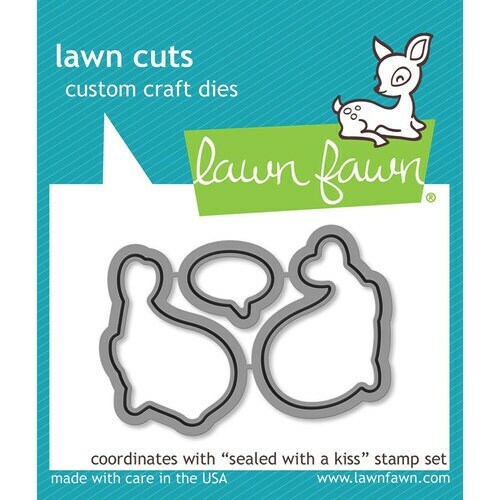 Your lips will be sealed when you start creating with the Sealed with a Kiss Die Set from the Lawn Cuts Collection by Lawn Fawn. This set coordinates with the Sealed with a Kiss Stamp Set sold separately. Included in the package are 3 thin metal dies that range in size from .75" x .5" to 1" x 1.25". Made in the USA. The dies are compatible with most die cutting machines also sold separately.